The North Face’s Superlight is a very low-priced bag for its temperature rating of -16 deg C comfort limit, but it is also one of the lightest options at this temperature rating at just 1489g, making it ideal for those wanting to save weight and save cash. Inside you get 650+ fill power goose down with 90 per cent down and just 10 per cent feather. This is packed into trapezoidal and box wall baffles to reduce cold spots through seams. Synthetic Climashield Prism pads are also placed on high-pressure areas to resist compression, and these are said to improve thermal efficiency by 13 per cent. The full-length zip gets a very well-stuffed baffle on the inside to block cold spots, and the shoulder baffle is well-contoured and well-filled with insulation to trap warm air inside the bag. You also get a very good stuffsack that allows you to compress the The North Face Superlight easily. 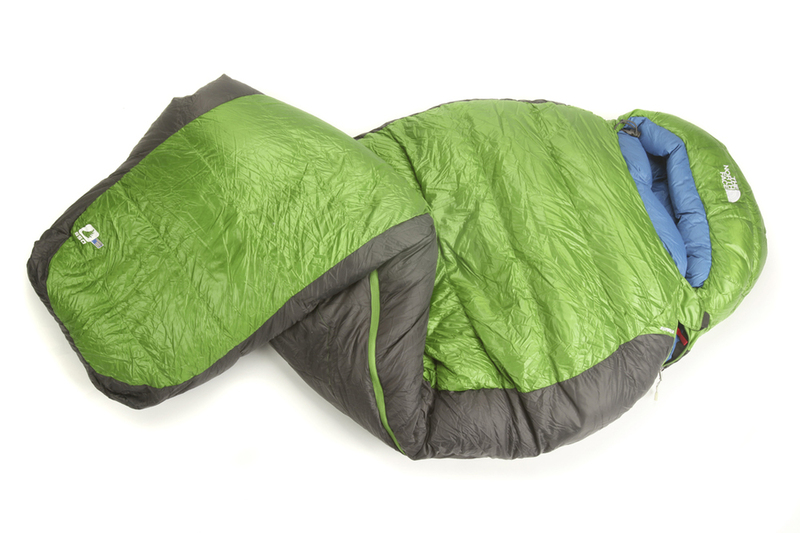 NB Temperature rating is based on using the bag fully fastened with the hood up, with a sleeping mat underneath. The The North Face Superlight was the best choice in our test if you are after a low-priced down winter sleeping bag.